Seller's Discretionary Earnings or "SDE" is the most influential factor in the value of your business. If you know how it's calculated, then you can track the value of your business, and focus on growing it before you sell. Today, we'll explain what SDE is, how it's calculated, and show an example of how we adjust financials to calculate SDE. What is Seller’s Discretionary Earnings? Seller’s Discretionary Earnings represent the entire financial benefit a business will provide one full-time owner-operator. For Buyers: this is the total pool of money a business is producing annually to pay your personal expenses. Why is Seller’s Discretionary Earnings Important? As a business owner, your SDE is tied directly to the value of your business. Once you have the power to calculate it, you can chart your progress and set goals for selling your business. How is Seller’s Discretionary Earnings Calculated? The basis of seller's discretionary earnings is net profit. But your net profit doesn't reflect the true benefit your business provides. To construct a more realistic picture of your business’s earning potential, we must “add back” certain expenses. 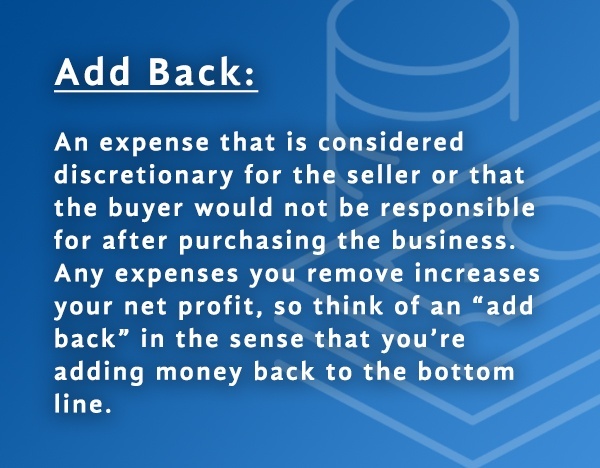 Add Back: An expense that is considered discretionary for the owner or that the buyer would not be responsible for after purchasing the business. Any expenses you remove increases your net profit, so think of an "add back" in the sense that you're adding money back to the bottom line. There are both standard and situational adjustments that must be made to your financial statements. We will start with a list of the standard add backs and then move on to a list of common situational add backs. Then, we’ll show an example to demonstrate these concepts in action. 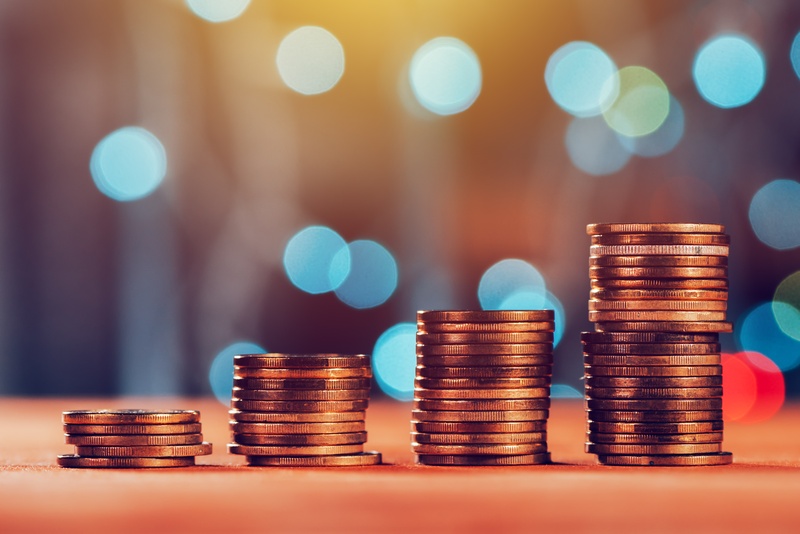 One Owner’s Salary – Officer's salary (also known as Guaranteed Payments) is added back to the net profit to show what one full-time owner-operator can receive from the business. If there are multiple owners who participate in daily operations, add back both salaries and expense whatever it would cost to hire an employee to replace one owner’s responsibilities. Depreciation – When the business is sold, the buyer is going to purchase the equipment, and start their own depreciation schedule. Therefore, this expense needs to be added into the business’s earning potential. Amortization – Similar concept as depreciation, except for intangible goods. Payroll Taxes – Since we’re adding back the owner’s salary, we also need to add back the company's share of the owner's payroll tax. Interest – Interest is added back per IBBA guidelines. The items below are common discretionary spending items we’ve seen on income statements and tax returns. Please remember that every business is going to have a unique set of add backs and many will be different from what we’re listing below. Health Insurance – If you’re running your personal health insurance through the business, add that back as part of a future owner’s potential benefit. Phone Bill – If you’re running a personal phone through the company, you’ll add that back into your net profit. 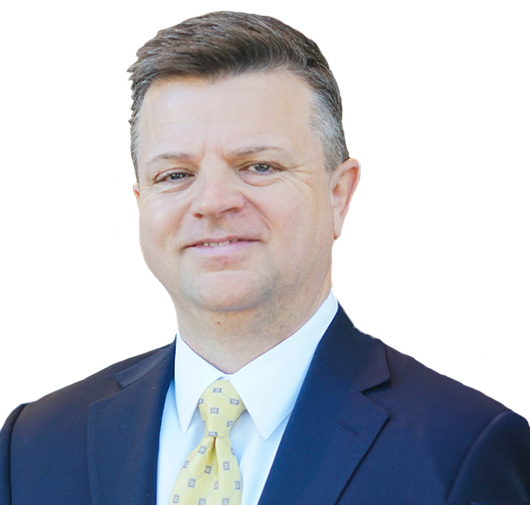 Charitable Contributions – As long as these charitable contributions are not considered necessary to the production of revenue, they can be added back. Fuel – If a company vehicle is also being used as a personal vehicle, you can add back some of the estimated yearly fuel cost. One Time Expenses – Uncommon expenses such as damage to your facility due to a storm, or an employee damaging an expensive piece of equipment are added back. The key here is that the expenses are uncommon or non-recurring. Now that you have a base level understanding of common add-backs, let's jump into an example. 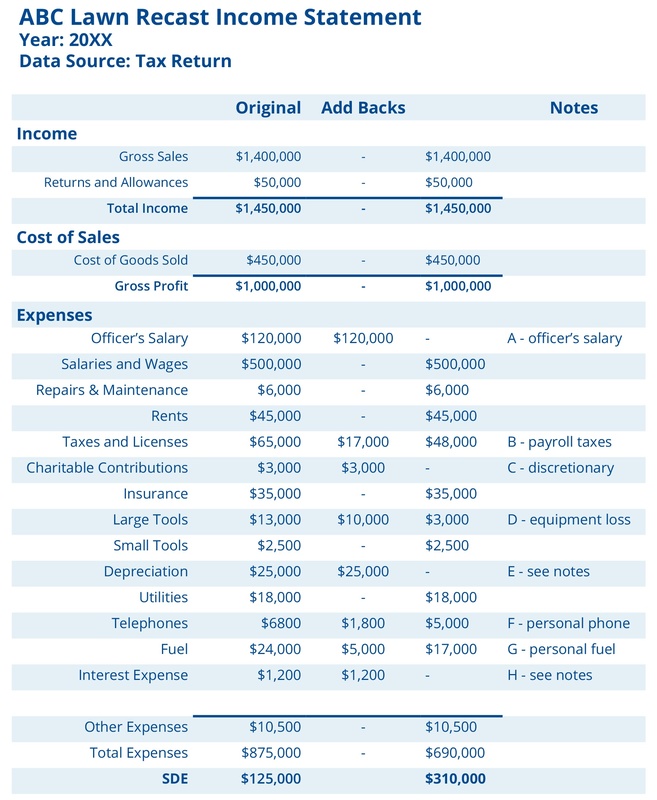 Take a look at the example income statement below. This will serve as an example to help you understand the concepts described above. ABC Lawn has decided to get a valuation on their business. The company has one owner, who takes a salary of $120,000 per year and works full-time in the business (A). This year, the owner had to replace $10,000 worth of equipment when a waterline broke and flooded his warehouse (D). He is currently running his family’s $1800/yr. cell phone plan through the company, as well as around $5,000 in personal fuel charges (F & G). As you can see, we’ve added back many of the standard add backs and some of the situational add backs. Study the example above and use it to help you calculate your own Seller’s Discretionary Earnings. If you’re having trouble identifying add backs relevant for your business or you’re confused on any step in the process, please feel free to reach out. We’d be more than happy to help. For larger businesses, earnings before interest, taxes, depreciation, and amortization (more commonly known as EBITDA) is used more frequently. EBITDA is essentially the same number as SDE, expect a salary for an operations manager must be included in the expenses. To calculate your EBITDA, simply follow the steps above, and then add back what it would cost to employ someone who takes over your daily responsibilities (if you're the owner-operator). Usually this falls in the range of $75,000 - $100,0000/yr.